"Oh No, George!" is one of those books we've been stalking for ages - umming and ahhing over whether to pick it up. 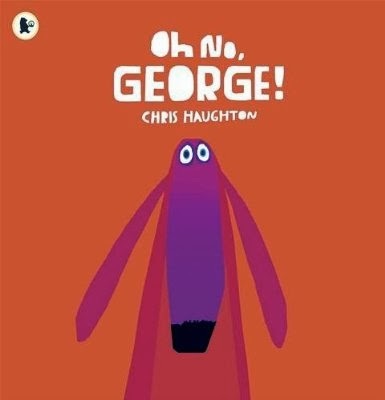 It popped up in our library haul this week so we couldn't possibly resist Chris Haughton's fabulous bold illustrations and fun story. George is a dog. George isn't a particularly well behaved dog but bless him, he really does try. When his owner Harris pops out for the day, George is determined to be on his best behaviour. But..."OH NO, GEORGE!" - Charlotte loved shouting out every time George misbehaves. Snaffling a sneaky cake, digging up the garden - and worst of all, emptying the bin all over the floor and chasing poor cat around. Does George manage to behave? The visual appeal of the book and the brilliant join-in story make this an absolute classic. I thought it might be too young for Charlotte but she enthusiastically joined in and couldn't wait to find out what mischief George would get up to next as the story progressed. Well deserving of a place on anyone's bookshelf, in fact rank this alongside other truly essential children's books like The Very Hungry Caterpillar, The Gruffalo and We're going on a Bear Hunt. Charlotte's best bit: Charlotte cannot blame George for his deep love of chocolate cake! Daddy's Favourite bit: Love the build up and anticipation, and the repetition which is so enthusiastically received by children. Definitely one to put on our 'read aloud' pile if anyone invites us for readings this year. Fabulous! Discover Story opens new "Secret Agent" themed interactive exhibition on February 15th 2014. 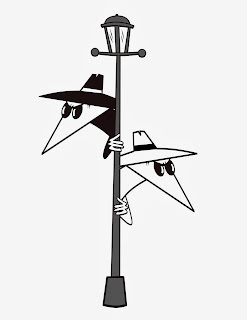 Watch out, watch out - there's a spy about at Discover Story! Just in time for the half-term holidays, Discover Story unveils its new interactive exhibition themed around secret agents and spies. Excitement and adventure abound on Saturday February 15th 2014 as the exhibition opens with a free day launching the centre’s spring programme of snooping and sleuthing and top secret activities, not to mention a visit from Ruby Redfort and Charlie and Lola author Lauren Child. 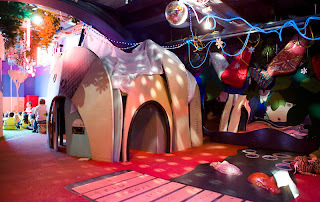 Discover Children’s Story Centre’s exhibitions have been nominated for the 2012 European Museum Academy International Children’s Museum Award. Secret Agents follows hot on the heels of their blockbuster exhibition Journey to Space with award winning illustrator Jim Field and sold out collaboration with Punchdrunk Enrichment, The House Where Winter Lives. Discover commissioned illustrator Peter Mac and hollywood screenwriter and author of the new Tarzan books Andy Briggs to create the exhibition. Children aged 6+ will be briefed on the mission at hand, to stop the evil Dr.Iscove from stealing the pocket money of everyone on the planet. Children will attend an exclusive Secret Agent training academy, to try and stop the villain in his tracks. They will master surveillance techniques, unlock codes, dodge laser beams, learn how to make themselves invisible and all the special skills to complete their mission. 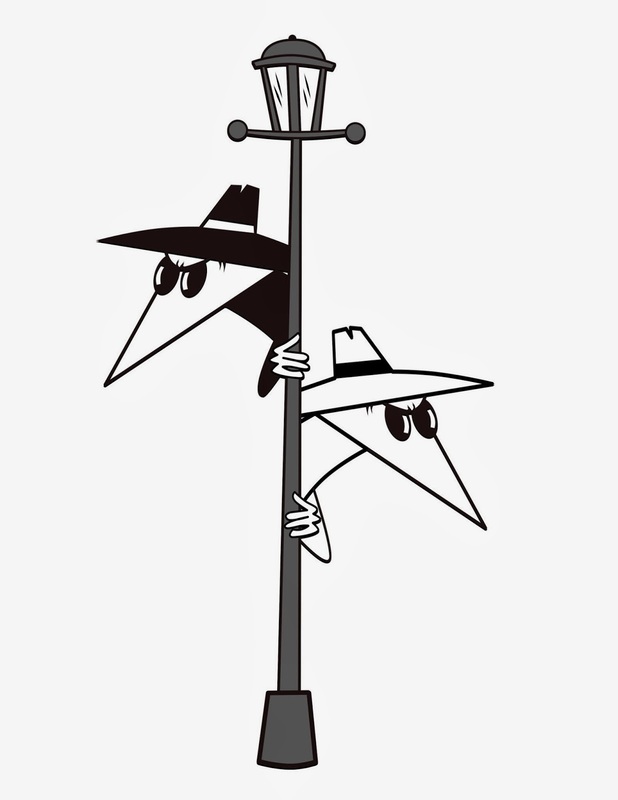 Secret Agents will be accessible to budding spies everywhere from 15 February 2014. Pop along to the Discover Story website for more information. 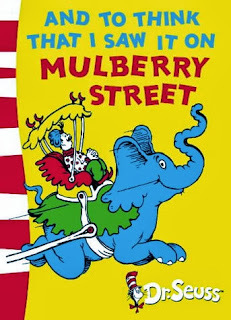 Here's a Dr Seuss book we'd never seen before. 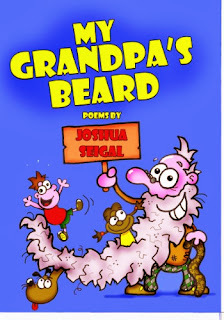 Mr Geisel's prolific back catalogue is huge, so it's easy to miss golden little nuggets of booky goodness like this one. Delving into a child's imagination is the theme, and we join a young boy who is on his way home from school. Nothing much really happened during the day, and the boy's dad always asks "What have you been up to? What have you seen?" A pause here - do other parents have the same thing going on with their children as we have with Charlotte? Where you enthusiastically ask "What did you do at school today?" only to be met with "Nothing much" or "Mehhh!" (you later find out that the class went waterskiing, bathed a baby elephant, made cakes, went paragliding, performed open heart surgery on gnats, etc etc etc). The book flips this idea on its head a little, and soon the boy is lost in a daydream of what he can tell his dad he has seen as he makes his way home along Mulberry Street. A simple horse and cart is transformed - becoming a reindeer and sled, a Rajah and his elephant, perhaps even an entire carnival! As you'd expect from a Seuss book, the rhymes are absolutely pitch perfect, flowing deliciously. The illustrations are crazy, whacky, surreal and wonderful. The message is ace though, and we loved the way the book ends. ...and to think that I saw it all in the pages of a Dr Seuss book! Charlotte's best bit: A Zebra, pulling a fancy cart! I can usually tell when a book is going to be "Book of the Week" when Charlotte lovingly totes it around with her. Now she can read, it's fantastic when she comes trotting up when I'm cooking or doing the washing up, and says "Listen to this one! Listen to this one!" Joshua Seigal (who was an awesome guest blogger here last year when he wrote something for our "Poetry" theme week) has compiled a collection of his poems that will tickle your funny bone, toy with your emotions or (in one or two cases) have parents wriggling with embarrassment as their little darlings read them out loud. Though Joshua's book is illustrated (wonderfully by Chris White) it's all about the poems for Charlotte and it's been unusual to see her engaged with the text as the main lure rather than the pictures (as is often the case when we review picture books). Reading "There's a bee in the classroom" had her giggling, and of course she took great pleasure in reading "My dad is bald" out loud to me once she'd discovered it (charming! I don't think covering my head in mulched ants is going to bring back my luxurious locks, alas). We also loved the poem about teaching, and about what teachers do for you - because they care about you, and want to make you a better person (confirming what we already knew - just how awesome teachers really are). We've had a week of Charlotte reading and enjoying these and we can tell that she's going to be picking out rhymes to randomly recite for some time to come. Fantastic work Joshua! Charlotte's best poem: A very shouty recital of "THERE'S A BEE IN THE CLASSROOM!" When we originally reviewed this cheeky and irreverent little book back in 2011, We couldn't quite believe a book like this could exist. It popped up in the library stacks again last week and we couldn't resist another peek - if anything, to make sure we hadn't imagined the whole thing. 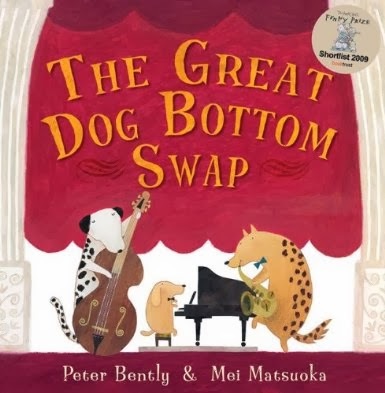 As you can possibly glean from the title, "The Great Dog Bottom Swap" contains words and elements that immediately catch children of a certain age's attention. Dogs. Check! Bottoms. Check! Swapping. Check! But no, it surely can't mean what it says can it? It's the night of the most fabulous doggy event of the year (or should that be rear? Oh you bet we're going to be wheeling out the bum puns for this one!) Dogs from far and wide gather at the theatre for an evening of variety and entertainment. Dogs are rather polite when in their own company (no leaving huge brown marks on your brand new cream carpet, or licking their - OK we'll stop there) - and all good dogs know that before one partakes of an evening of theatre, one must check one's O-Ring in at the doggy cloakroom. "So, are those their bums? Their actual bums? That's disgusting!" - Charlotte. I said in the original review that this book was entirely responsible for putting me off Cheerios for a very long time (in fact I don't think I've eaten them since). You'll see why as Mei Matsuoka's fab illustrations curl themselves lovingly around Peter Bently's cheeky story. Once the dogs have deposited their derrieres, they're ready for the show. But things take a disastrous turn. A mishap sees the theatre catch fire, and soon it's every dog for themselves as they struggle to leave the theatre. But what about their butts? In the mad dash and panic, dogs grab the nearest one and make a run for it. There is a purpose to this story, and I won't ruin the pay-off, it's very funny and explains a lot about doggy behaviour. We still love it, it's immensely funny, cheeky and I'm still leaving that well known breakfast cereal well alone on the basis of this book, in fact I don't think I'll even be able to look at hula hoops or ring doughnuts in the same way either. Ew! Charlotte's best bit: Getting over the whole 'bum' thing by falling in love with a rather natty dalmatian. Daddy's Favourite bit: I love the cheekiness of this, Peter Bently has a knack for ticking our funny bones! Here's a thought - is it possible to tick all the right boxes for a book celebrating how amazing mums are without - well, to put no finer point on it - upsetting some mums? 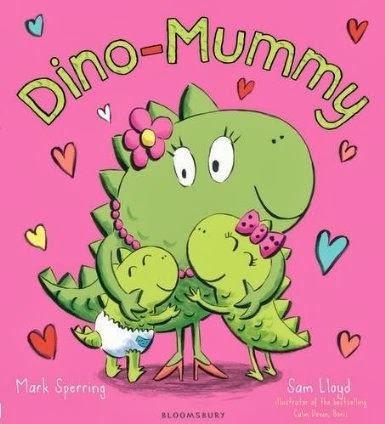 In "Dino Mummy", which is intended as the aforementioned, a book gently telling us what we already know, that mums are super-amazing, multitasking, rock-solid and hugely deserving of all our love and hugs, a friend (no names, no pack drill) mentioned that she was annoyed by the book. I could see her point. The book's 'dad' character sits quietly by and lets mum do all the cooking, washing, ironing, shopping and parenting while he adopts the '1950s dad' stance of scoffing dinner, reading the paper and languishing in his comfy chair. Charlotte's attitude to the book was interesting - in some ways, you can see why books often opt for showing a single parent in situations like these. She picked up on the fact that the dad dino was a bit useless, and in fact if you analyse things further, he's really only there to tick the boxes for the 'average family unit' (Dad, Mum, Brother, Sister). We read and enjoyed the story, with Mark's fantastic rhymes and wonderful illustrations by Sam Lloyd, and Charlotte noted sagely (with all the wisdom and straight shooting you'd expect from a 5 year old) that "Dino Dad is no fun". I couldn't really shake my friend's analysis of the book, in fact there would probably have been less upset if the dad character was entirely absent - that way you'd feel that the mum character was even more worthy of praise. Another thing worth noting is that very little demonstrable love is shown between dad and mum, though perhaps that's the point - Dad takes a back seat in the story intentionally to ensure that mum deservingly basks in the spotlight. Flipping things on their head, dads get a fairly raw deal in children's books at times. There are so many books that show dad as being a bit dozy, useless, clumsy even - but sometimes silly and fun, so there's definitely a fine balancing act involved if you're aiming to achieve picture book perfection. Do we book bloggers over-analyse things? Or should we (perhaps quite rightly) point out that it's 2014 and yet there are still books that crop up in our review piles and throw a zillion and one questions up that really have little or nothing to do with the book's intention, but consume us with our perception of whether the message was lost in the mist of tripping over its own good intentions by glaringly not reflecting family life as we know it. I thoroughly recommend you read Dino Mummy to your children, and get their honest reactions to it. If nothing else, take it as intended - a book that joyfully and colourfully tells you that mums are champs, dino or otherwise! Charlotte's best bit: Snuggling up for bedtime stories, of course! Daddy's Favourite bit: Breakfast time! Shirley Hughes is as close as it's possible to get to being "Children's Book Royalty". Her fabulous books have entertained children for years, and it's been brilliant discovering her books along with Charlotte over the last few years. So even though we're late to the party, we're huge fans and every time we spy a Shirley Hughes book in our local library, we nab it! Many authors and illustrators have put their own spin on well-loved fairy tales. Sometimes they're fairly low-level treatments of the original that don't really enhance the story or bring anything new along for the ride. 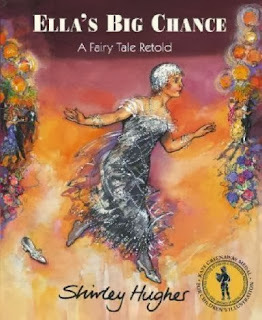 Not the case with "Ella's Big Chance" by Shirley Hughes, which is an utterly masterful retelling of "Cinderella". You all know the story but Shirley's take on it nips and tucks all the good bits like an expert tailor, as we open the tale with Ella and her father as successful dressmakers, producing some of the most beautiful dresses in the land. When Ella's father remarries a rather mean and crabby woman, and brings her and her two daughters into their home, things change. The new wife has grand ideas for their humble business and sets about turning it into a reputable fashion outlet - meaning lots more work for poor Ella! Her new stepmother and stepsisters treat her poorly, and her father seems to become more withdrawn by the day. Luckily Ella has a friend in Buttons, the store's busy delivery boy who always makes time for Ella and cheers her up. Consigned to the basement, poor Ella dreams of a world of glamour and music - and when a lord and lady announce a grand ball that's being thrown for their son, Ella hopes she might have a chance to shine. Alas her stepmother and stepsisters have other ideas. THEY will be the belles of the ball, not poor Ella. Alone and thoroughly miserable, and despite Buttons' attempts to cheer her up, a timely intervention from a magical and mysterious old lady soon has Ella clad in the most beautiful ballgown ever, with a gorgeous limousine and driver ready to whisk her off to the ball! Here's where we'll pause. You see, you're probably second-guessing how the story ends based on the original, but with a twinkle in her eye and deft strokes, Shirley Hughes has a surprise or two up her sleeves for you. We'll leave you to discover what happens to Ella yourself (trust us, you'll love it as much as Charlotte did). It's a gorgeous book. Shirley Hughes effortlessly produces the most beautiful illustrations, weaves the original story into a wonderful roaring twenties style twist on the tale, we fell hopelessly in love with this book and we're pretty sure you will too. Daddy's Favourite bit: Probably the best retelling of a traditional tale that we've ever seen. Shirley Hughes - national treasure without a doubt! We've been following this independently published title for quite some time now, ever since a few panels from the story appeared in our Twitter feed. 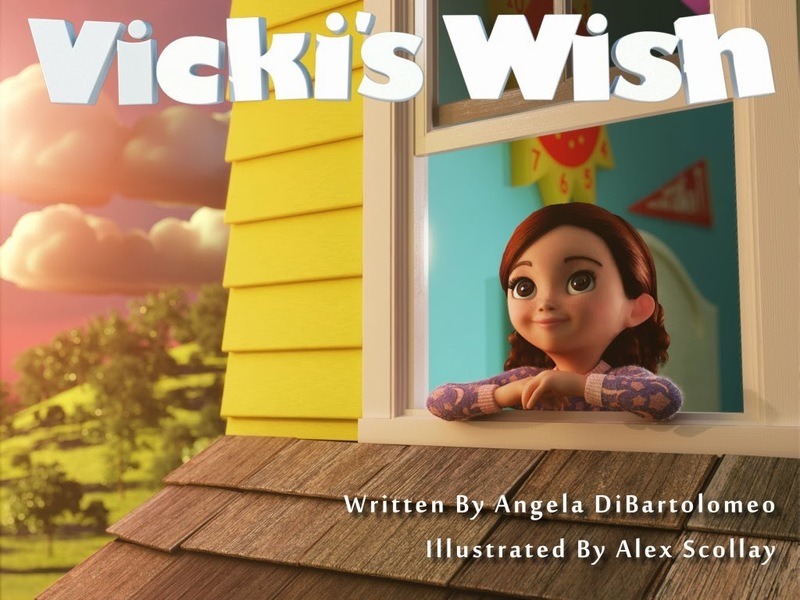 Thanks to Angela DiBartolomeo, we've now had a chance to take a look at the full version of "Vicki's Wish" and it's a stunning book with a really unique visual style. The story of Vicki, a little girl drawn into a magical world of wonder when she wishes on a star one night as she's falling asleep. She wakes up to find a magical fairy has appeared. The fairy needs someone strong and brave to help with a perilous quest and at first Vicki is reluctant. She's not strong and brave, but the fairy convinces her - and soon they're off on a fantastic journey to find out why the moon has lost some of its sheen. As Vicki's tale unfolds, Charlotte was drawn to the core theme of the story which helps children deal with anxiety issues, and believe in themselves. Vicki's quest isn't only about restoring the moon's shine, but also digging deep into her own abilities. It's a really uplifting theme to help overcome self-doubt and perhaps seeing Vicki's inner strength shining through will positively inspire children to take a leaf out of Vicki's book. It's a truly stunning book, but don't take our word for it. Find out more about Vicki's Wish yourself through the following links. Here's an interview with the creative team behind "Vicki's Wish" on the talk show "Let Them Talk"
Don't forget to drop by the "Clever Mammals" Facebook page to find out more about "Vicki's Wish". Daddy's Favourite bit: Sumptuously produced, beautifully written and illustrated - Vicki's Wish sets a very high standard for self published titles. Everyone needs a hug, be they bear or baboon, bushbaby or basking shark - and in Joanna Walsh and Judi Abbot's cuddly feel-good book you'll see what happens when you look out for the perfect hug. Is it tickly? Prickly? Snuggly or squishy? I love books that feel like you could crawl between the pages and snuggle up for a cuddle yourself (as does Charlotte) and that's definitely how "The Perfect Hug" feels. Just look at how content that little Panda is on the cover too! Charlotte's best bit: What would a porcupine hug be like? Owch! Daddy's Favourite bit: Snuggle up under the duvet at bedtime and read this to your own little ones while having your own perfect huggle and snuggle! Back in 2012 we ummed and ahhed lots over Anthony Browne's "The Tunnel" before giving it a 5 out of 5 star rating, and a book of the week award. "The Tunnel" starts out fairly harmlessly describing a typical sibling relationship between brother and sister. The older brother is boisterous, probably quite naughty, likes to play out and fight and misbehave. The younger sister is quiet, thoughtful, bookish and indulges in flights of fancy thanks to her love of fairy stories. The two rarely see eye to eye and constantly squabble, so one day their exasperated mum sends them out to play - together! The draw for Charlotte is what happens when the pair discover a mysterious tunnel while out playing. The brother decides to investigate, and crawls through the tunnel without so much as a second's thought. The sister worries, it looks spooky, it smells and no good ever came of crawling through a dark spooky smelly tunnel. When her brother doesn't come back, the sister has no choice but to follow him to find out what's happened. Shocked to discover a strange wood on the other side, she summons all her courage and tries to find her errant brother. In time honoured fashion we won't ruin the story too much, suffice to say that I distinctly remember the first time we encountered this book and the effect it had on Charlotte back then. Two years on, it's still immensely powerful and though Charlotte swaggers with mock bravado that it's not nearly as scary as all that, she still cuddles tightly as the story tightens the thumbscrews of fear, and taps into a child's deepest darkest fears expertly. Charlotte's best bit: Spotting the hidden menaces in the woods. 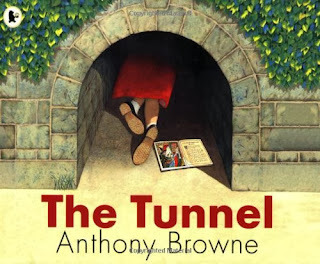 Daddy's Favourite bit: Like Anthony Browne's other work, this is a dark and delicious treat - probably a little too scary for the very young but destined to be a book they can't get enough of once they're older. Meet Pom and Pim, an engaging and cute toddler and his favourite cuddly toy. We share in their day from the moment Pom wakes up, to the moment he's tucked back up in bed at night with a story. You might wonder what adventures a little kid can have, but when you have a whole world to explore - and you're knee high to a grasshopper, the potential for fun is colossal. 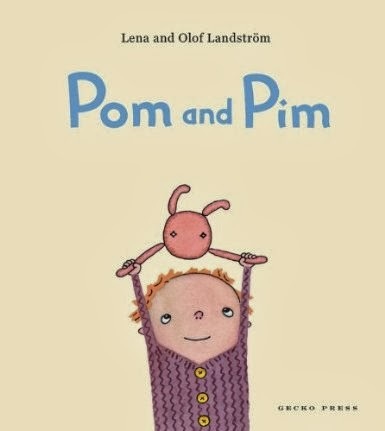 Lena and Olaf Landstrom's "Pom and Pim" is a gentle story full of fun, and we loved it. Charlotte's best bit: Pom does not like peas! Daddy's Favourite bit: Simple, cute and fun. One mere whiff of the word "Ghosts" in the title of this book was enough to have Charlotte running off to tuck herself into a corner with it. I managed to persuade her to let go long enough to tell me what she thought of "Mortimer Keene - Ghosts on the Loose". The third in Tim Healey and Chris Mould's paperback series, the ever-inquisitive experimenter and boy genius (?) Mortimer Keene is dabbling in the occult. Splicing together technology and mysticism, he has discovered a way to tunnel through time, projecting phantoms of the past into the present day. Which would be great, no really it would, if Mortimer wasn't doing so on school premises. Eek! 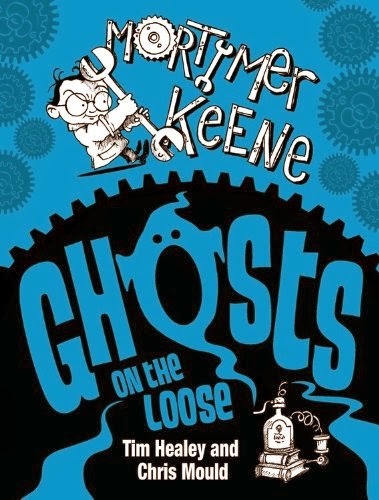 As you can imagine, ghostly monks, grey ladies and victorian hangmen turning up can cause a little disruption to the school curriculum, but Mortimer has a plan to save the school (and the universe) if only he can find enough ectoplasmic energy. Charlotte loved this, again it's great to see her engaging with books on her own - and then showing me all the good bits (and knowledgeably telling me all the technical ins and outs of how Mortimer's fantastic spook-summoning machine works, thanks to Chris Mould's fantastic scratchy and superb illustrations). Charlotte's best bit: The grey lady popping up in the loos. She must've been taking lessons from Moaning Myrtle. Daddy's Favourite bit: A nice gothic mix of ghoulish behaviour, steampunk-inventiveness and brilliant brilliant rhymes. "So why do you like pirate books so much Charlotte?" "Because pirates can be naughty, and they can do ANYTHING!" So who is Captain Beastlie? Well he's the stinkiest, pongiest, most rotten pirate to ever set sail on the high seas. He's not particularly mean (though he can be a bit surly at times) - but with just a few days left till his birthday, Captain Beastlie is - as we'd politely point out - getting "a bit on the nose". His doting crew are awesome. As Captain Beastlie counts down the days until his birthday and his party, his crew surreptitiously scurry around preparing for the big event. They keep their ship spotless, polished and washed - which is no mean feat when your captain is such a stinkpot! 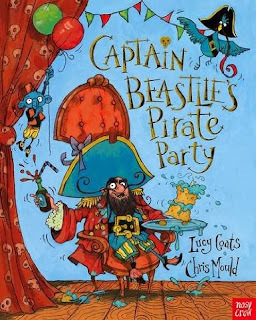 We absolutely loved the pay-off in this story, which adults may see coming a mile off, but children will love (possibly a bit too much, I'm trying not to spoil the story for you but Charlotte innocently inquired whether she could mimic Captain Beastlie's behaviour - not just his pirate antics, to be answered with a very firm "not on your nellie, little lady!" As is now the standard for Nosy Crow's print books, you have the option to hear an audio version of the story using the handy QR code in the front of the book (this is such a genius move and I'm still quietly surprised it hasn't caught on with other publishers). We've already mentioned that the pirate theme shows no signs of bottoming out in 2014 (which is great news for us, we can't resist a barnacle-encrusted booty-obsessed cove or two), and here's an early candidate for piratey book of the year. Don't miss it! Daddy's Favourite bit: Funny, beautifully written, wonderful illustrations, a shoe-in for 'pirate book of the year' and it's only January! Everyone's favourite marmalade-sandwich-scoffing bear needs your help. A series of events are planned in aid of the Action Medical Research for Children charity, in May and June 2014. Paddington Bear is asking nurseries and infant schools across the UK to help raise vital funds for his favourite charity, Action Medical Research, by taking part in its annual Bring your Bear event. It’s very easy to join in, just choose a day in May or June when the children bring their teddy bear, or a favourite soft toy, along with them for the day. Each child brings in a £2 donation with their bear to support vital research to help sick babies and children. Many Bring your Bear participants organise a whole day of fun activities, such as reading Paddington stories or holding a teddy bears’ picnic. Children can also take part in a drawing competition with a chance to win a visit from Paddington himself. Every nursery that registers will receive a free fundraising pack, including a poster and Paddington stickers, and access to an online toolkit full of useful materials. These include tips on linking the event to the Early Years curriculum and activity sheets to download. Action Medical Research is currently funding research into many conditions, including preventing early labour and developing treatments for babies affected by premature birth, helping children with disabilities and tackling rare diseases for which there are currently no cures. Frank Lampard's engaging and footie-tastic "Frankie's Magic Football" series rolls onto the pitch once again as "Frankie's Magic Football - Frankie and the Mummy's Menace" by Frank Lampard and Mike Jackson touches down on February 6th. 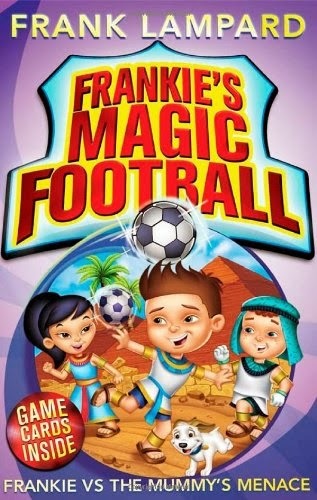 The "Frankie" series is fantastic for engaging reluctant readers, they're nice and easy to read and full of engaging characters as we follow Frankie and his friends through history, facing off against different football teams who will test his skills to the limit. Catch up with Frankie's latest adventure on 6th February 2014. There's potential for a huge sprawling blog post about dads in children's picture books, a subject we're obviously very interested in. You see, the pattern for dads is usually that they're kind-hearted, slightly bumbling, sometimes strong, sometimes weak, ultimately second fiddle to mums when it comes to parenting. 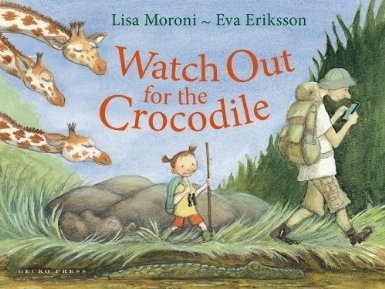 We love books where the character dynamic reflects the dynamic on this blog, so when "Watch out for the Crocodile" by Lisa Moroni and Eva Eriksson came along for review, we wanted to see how the dad in the book measured up to the cliche dad we've seen so many times in other stories. Dad decides to organise a camping trip with his daughter, to spend a bit more time with her. He's a bit inept, spends far too much time on his mobile phone (definitely NOT a trait that's exclusive to dads, ahem), and is a bit too obsessed with work at times (again, see previous point). But his heart is most definitely in the right place. As they journey through the woods and the great outdoors, dad and daughter seem at odds at first. Daughter points things out to dad, dad doesn't see them - but eventually they start to bond, and let their imaginations fly - but watch out for the crocodile! I'd like to think that if Charlotte and I replicated the scenario in this book, we'd probably both begin the trip soaking up the great outdoors with all our senses and seeing things that others miss. This book celebrates the dad-daughter relationship, but it's more effective at describing what it's like to have a vivid day-dreamy imagination whether you're an adult or a kid (and some of the best adults I know never had that 'grown up' gap in between where they wrote off all the kid-type stuff in favour of worrying about money, or what car to buy next, or whether they're progressing fast enough along the career path). "Watch out for the Crocodile" is sublime and is our book of the week simply because it's such a great message, not just for dads, mums or their children but for anyone who has lost the ability to daydream or imagine. Charlotte's best bit: Lions on the plain! No not the plane, the plain! People often ask us "What's with the children's book thing then?" whenever I do my usual surreptitious promotion of children's literature. "Why review children's picture books? What's so great about them?" As you can imagine, this is like pressing the big round shiny candy-like fire button on a massive missive about why we started this blog in the first place, and why four years on we're still as passionate and enthusiastic about children's picture books as we were on day one. "A Book is a Book" is a great story to highlight all the things we get from reading together (and as Charlotte rapidly approaches her sixth birthday, and I constantly wonder where the time goes, "reading together" is what happens now rather than me solely reading to her - A big hooray to that). Creatives often describe the altered mind state, almost an out-of-body experience that takes place when they're truly lost in or wrapped up in their work. A good book has the power to trigger this state, and in "A Book is a Book" Jenny and Sarah describe the triggers and elements that bring on this state. A book can be a distant land full of magic and adventure. 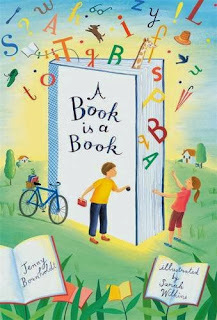 A book can be a teacher, filling our hungry brains with knowledge. A book can make us laugh, cry, can take us through a million and one other emotional states before we turn to the final page. A book can be familiar, alien, feel as comfortable as your favourite pair of slippers, or make you feel like you're walking across hot coals. 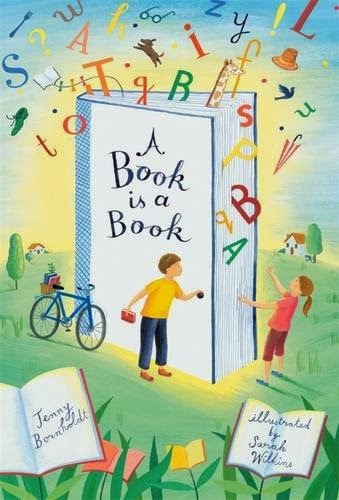 For children, books can describe scenarios they'll never see in their everyday lives, or perfectly demonstrate that millions of other children enjoy the same things. We can feel like the heroes in a book, the villains, the winners and losers. We're just scratching the surface, but if you want a tiny little treasured pocket-sized book you can carry around with you, to whip out the next time someone asks you the question we get asked so often - the question we opened this review with - then "a Book is a Book" is utterly perfect. We're suckers for a salty sea tale and we love pirate books. 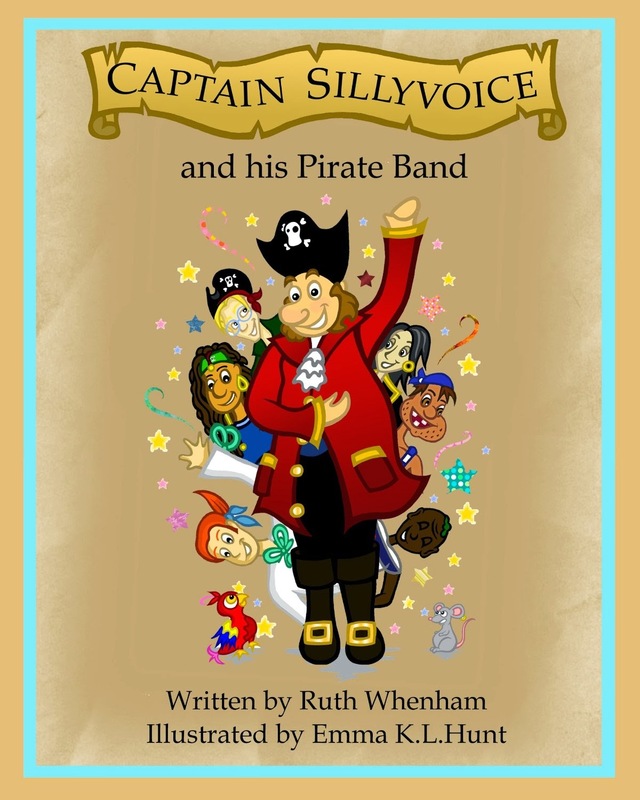 We couldn't resist Ruth Whenham's "Captain Sillyvoice and his Pirate Band" - after all, if there's one thing that brings reading aloud alive, it's doing so in a variety of silly voices. Captain Sillyvoice is a pirate but while other pirates sail the seven seas plundering other ships, stashing treasure and generally being bad eggs, Captain Sillyvoice and his band love playing in the sand, building sand castles and having fun. Other pirates may scoff and point derisively but perhaps there are other things that Captain Sillyvoice and his crew can turn their hands - or should I say their voices - to. When the queen stops by with a plaintive request, it's up to Captain Sillyvoice and his Band to step into the breach, performing at an exclusive party. How do the pirates get on when they turn on the talent? We'll leave you to find out in Ruth's book. We loved the Captain, with his joie de vivre. Ruth's rhymes are fun, and Emma's illustrations are bold and colourful. Charlotte loves a good pirate yarn and this is fun and gigglesome stuff. 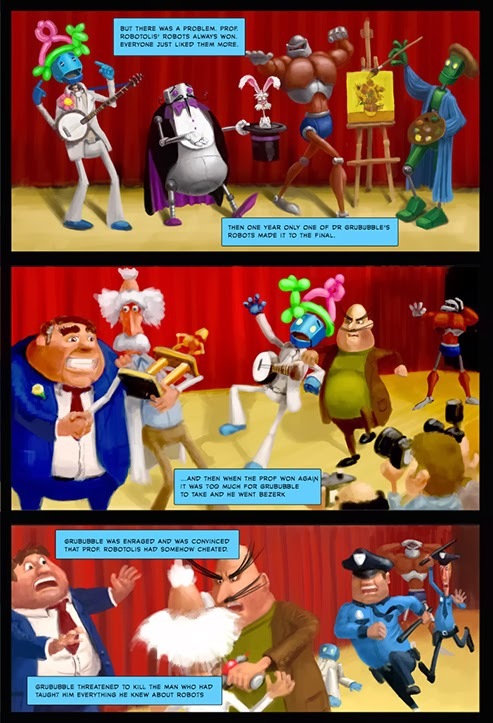 We really hope Captain Sillyvoice leads his band to more adventures soon! "Captain Sillyvoice and his Pirate Band" is available through Amazon. Don't forget to drop by Ruth's facebook page to see her other books too! Daddy's Favourite bit: Ace fun, Captain Sillyvoice is a pirate with a difference! We hope there are more adventures from this talented pirate soon! Comics and graphic novels for kids are once again rising up to defeat naysayers who still have a skewed view of their worth when it comes to engaging children with exciting stories. Comics are such a natural fit for children, visual storytelling is like nectar to kids who want to progress from picture books to something a little meatier. We've previously featured Vince Kamp and "Robotslayer" on last week's indie-pen dance slot, to spotlight Vince's vision and creative processes and how he pushed the envelope for what self-published author illustrators usually do to engage readers with their work. 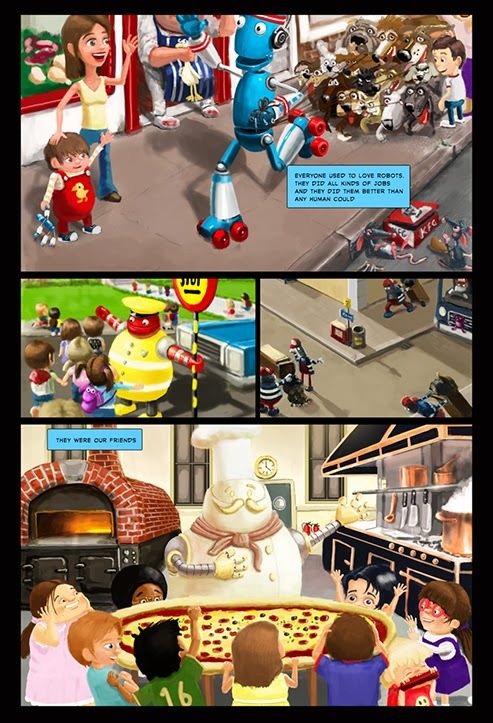 Creating a graphic novel (the first of many, we hope) called Robotslayer, Vince has put together an exciting and fast paced story that will excite and delight boys and girls in equal measure. 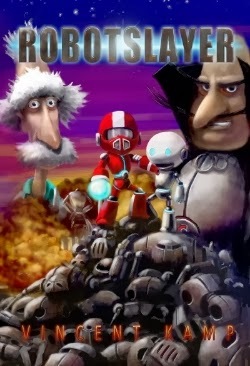 We pick up the story as a genius professor called Professor Robotolis creates robots to assist and serve, and eventually to create a sprawling robot metropolis in his own name. Working with his partner Dr Grububble, the professor's robots are amazing - stepping into jobs and roles that humans no longer want, and ensuring that people never want for anything, have acres of free time, and can enjoy life to the full. Eventually Dr Grububble and Prof. Robotolis part company seemingly amicably. But during the annual "Robotfest" talent contest one year, Professor Robotolis' robots win again and again, while Dr Grububble's robots trail behind. This is the final straw for Dr Grububble. Accusing the Professor of cheating, things take a nasty turn and just as the police arrive to stop an assassination attempt, Dr Grububble is rescued by one of his own creations and goes into hiding. Soon afterwards, robot behaviour across the city becomes increasingly erratic. 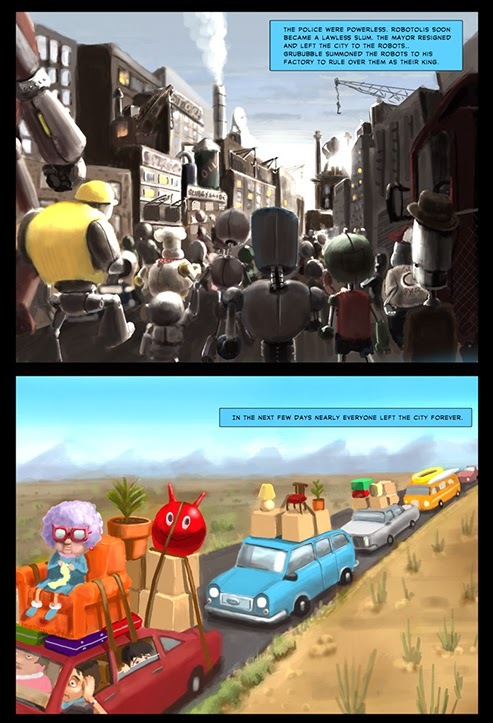 Robots start to malfunction, and soon turn to crime and vandalism. A virus seems responsible, but Professor Robotolis is powerless to prevent it spreading to every robot in the city bar one. 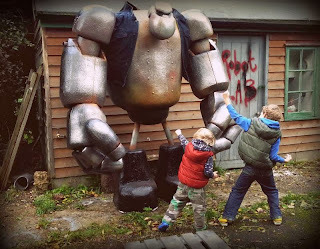 The Professor's young grandson Leo and his robot 'brother' Benny (the only robot unaffected by the virus) become the central characters in a fight to find out the source of the virus, and thwart the evil Dr Grububble's nefarious plans. We won't give away too much of the plot, we really want you to read the story yourself - so you can find out what happens to the Professor, Benny and Leo. Vince's storytelling and artwork are fantastic, and putting the children (based on his own kids) front and centre in the plot is an extremely good move. Children can more readily identify with stories and heroes if they are fairly ordinary everyday kids themselves - and we've seen this again and again in the best loved children's stories that have consistently bagged awards and big sales. Between the excitement and adventure, there are subtle shouts out to things we love. The value of teaching is described within the plot, versus the value of simply consuming information (or being programmed with it). We love the subtle thumbs up to groovy grandparents (Opa - Professor Robotolis is the sort of gadget-obsessed grandad we all wish we had!) and of course the relationship between Benny and Leo - looking out for each other and believing in each other when it comes to the crunch. It's an inspirational graphic novel, beautifully produced and printed and available at a very reasonable price (£7.99 RRP) so if you're a parent who wants something brilliant as their child's first foray into comics, this is very much a fantastic place to start. Here's a trailer for the book too! Daddy's Favourite bit: A thumpingly good fast-paced and exciting graphic novel for kids. Brilliant, more please soon! Mild panic set in when this book arrived on the doorstep. 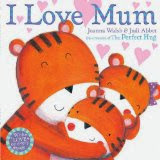 Usually we see a plethora of "I Love Mum" style books around Mother's Day, so I rushed to quickly check the calendar to make sure I hadn't missed anything (It's Sunday March 30th just in case you were wondering). So as a present idea, books are definitely worthwhile - and this book in particular captures perfectly what we all already know. Mums are fantastic, multi-talented, multi-tasking, wondrous and lovely. Well worth celebrating at any time of year. 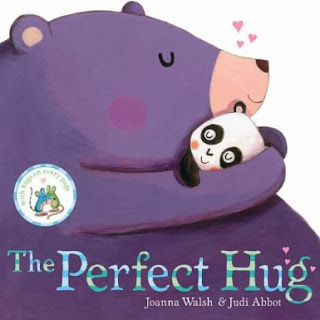 Joanna Walsh and Judi Abbot (the talented pair behind "The Perfect Hug" and "The Perfect Kiss" - which are also very cuddly books!) have teamed up to describe just why our mums are so special. All the things they do for us, and all the wonderful ways that our lives are enhanced by our marvellous mums. Charlotte really loved the book and the animal characters, one to cuddle up with when it's mummy's bed time and story time. Charlotte's best bit: Mummies always know how to kiss it better when we stumble or fall. Daddy's Favourite bit: A lovely cuddly book, a great idea for an early Mother's Day pressie! The Imagine Children's Festival. The South Bank comes alive with stories and fun! Our good friends over at Inclusive Minds have been commissioned to run an event at London's Southbank Centre as part of this year's Imagine Children's Festival. The one-day event entitled "What About Me?" is focused on making children's books truly inclusive of ALL children, and giving children a real voice within children's books. It will be a free and accessible event with activities to suit every child's needs and interests, including sensory activity and signed poetry. We will be welcoming a host of children's book creators to the event to meet children, discuss ideas, take part in workshops and work with children to 're-imagine' book covers and stories, to make sure all children really are included in books. The full programme can be found on the Inclusive Minds website. The event will end with a panel discussion looking at how 'normal' is presented in children's books, and what messages this gives to children about society. Taking place on Friday 21st February 2014 at London's Southbank Centre, it's a fabulous chance to find out more about inclusive children's books. How can a monster teach us a lesson about manners? Well, with the aid of the fabulous Mrs Mo, we find out what happens when truly beastly behaviour is taken in hand. Mrs Mo answers the door one day to find a little blue monster, who likes to munch and chomp. Without so much as a 'by your leave' the monster storms into the house and starts to wreak havoc. Monsters do like to munch and chew but with a little gentle persuasion, perhaps even the hungriest monster can see the error of his ways. 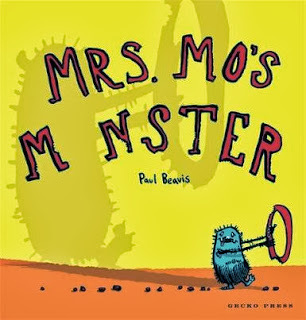 Paul Beavis' great sense of fun shines through as Mrs Mo stealthily enlists the monster's help with a very special occasion while Mr Mo potters around in the garden. There's a neat twist as we find out that there's a destructive force that makes a little blue munching monster look positively serene by comparison. We had a giggle about that between the two of us, and we're sure you will too. Gecko Press have an enviable line-up for 2014 and we'll be taking a look at more of their range soon. In the meantime, check out Gecko Press's website for some fantastic book ideas for all ages. A fantastically fun book with a nice moral take of manners underpinning the monstrous chaos. Mrs Mo is fab! 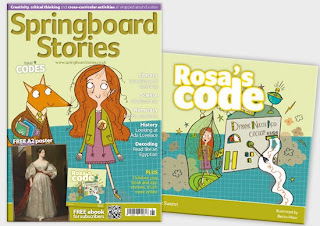 Spotlight on Springboard Stories Issue 9 - "Codes"
Those lovely folk over at Springboard Stories know our weaknesses. Issue 9 just dropped through our letterbox and we have fallen head over heels in love with it. Secondly, another of our heroes takes centre stage in the magazine with an utterly wonderful A2 poster and lots of information about the world's first computer programmer, Countess Ada Lovelace. Charlotte loved the poster so much, and loved hearing about Ada (Daddy's a complete geek so we'd already talked about her long before the magazine turned up). 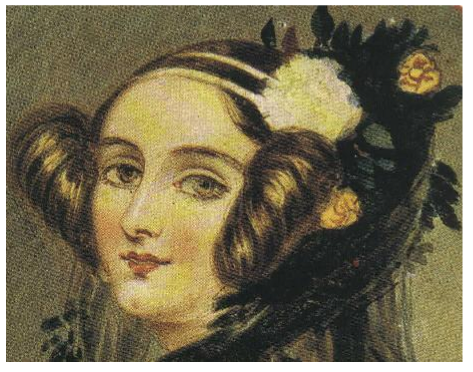 Ada Lovelace - Geek Girl Supreme! Thirdly, another one of our illustrative heroes - Richard Collingridge - has come up with a fab feature for arty folk on how to draw portraits. Something I'm very interested in at the moment! "Codes" are the theme for this issue, and we've loved exploring codes and ciphers with the many activities and resources for teachers and parents that are included in Issue 9. Learning about the Rosetta stone and how it was pivotal to decoding heiroglyphics, and of course finding out all about the programming resources available to children even from a very young age was brilliant fun. 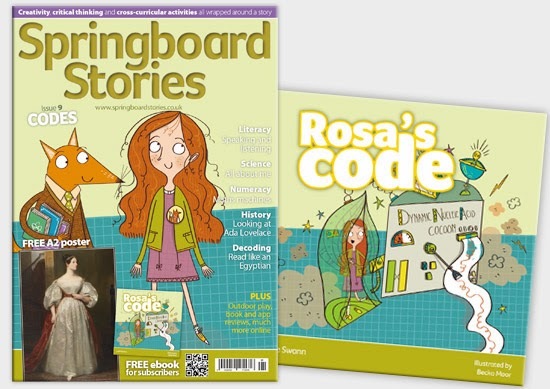 To subscribe to Springboard Stories, or to find out more, visit their subscription page. Catch up with the lovely Springboard Stories team on Twitter and Facebook too! Discover Story's Spring Programme is packed with booky goodness. Discover Story Centre - London. Where stories come alive! The Discover Story Centre in Stratford, London, was a brilliant place to visit when we dropped in last summer on a sweltering hot day with a few book blogging folk. This fabulous venue has now released details of their Spring Events programme, and it's a doozy. For starters, there's the launch of our new interactive family exhibition Secret Agents, for children ages 6+, with a special visit from Ruby Redfort and Clarice Bean author, Lauren Child (15 Feb). And don't miss out on The Big Write – Stories Remixed (6 – 16 March) returns with a spectacular line up of authors, illustrators, visual artists, pop stars and comic makers for all ages, including Korky Paul (Winnie the Witch), Cerrie Burnell (CBeebies), John Hegley (I am a Poetato), Axel Scheffler (The Gruffalo), Jamila Gavin (Coram Boy), Alex T Smith (Claude) and Catherine Bennett Live. This season also includes the 3rd annual London Children’s Book Swap, 15 Feb, in which children and their families can bring their old books to one of 18 family friendly cultural venues across London and swap them for a different read, for free. Venues include, Discover Children’s Story Centre, Southbank Centre, Rich Mix, Museum of London, Unicorn Theatre and the Centre for Literacy in Primary Education. You really truly can't go wrong with a good monster book. Every visit to the library, we end up with at least one or two in our book stack and Charles Fuge & Tasha Pym's colourful monster series are eye catching and not to be missed. 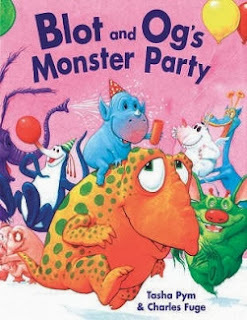 In "Blot and Og's Monster Party" a couple of monsters have a fairly comfortable life - but yearn to throw a huge celebratory bash. The only problem is, how on earth do you throw a party with only two people...er...monsters? Blot and Og hatch a plan to invite monsters from all over their planet. But what would make monsters travel far and wide to come to a humble party? "Think big" and so that's what Blot and Og do, bending the truth a little and making the party sound spectacular - before posting the invites far and wide to what sounds like the most spectacular event of the monster season. You'll have to read the book to find out of course. It's a nice twist to the "Boy who Cried Wolf" idea, but feels wholly original and fun. We loved Tasha's monster creations, full of colour and life. Could not resist this one, could we! 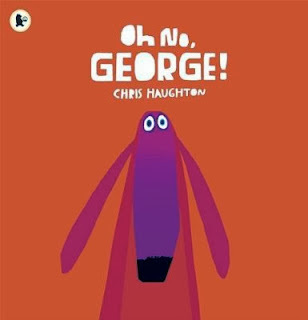 Daddy's Favourite bit: Blot and Og are naughty, but this excellent book teaches children what happens when you exaggerate! Without libraries, we might struggle to find wonderful books like this week's "Book of the Week". Though Robert Munsch's books are near legendary in the US, I've never come across them before here in the UK. The copy we found in our local library was "well loved" (book speak for "I really hope the librarians don't think WE spilled that junk on the book while reading it") but we couldn't resist its lure. You see, we love a gutsy, smart and brave princess. Though Charlotte will coo over Ariel or squirm with delight over Princess Jasmine, she loves it when book heroines take no nonsense during the course of their story. Even more so if they aren't into all that horrid smoochy "marry the first prince that comes along" stuff. Initially our hearts sank. 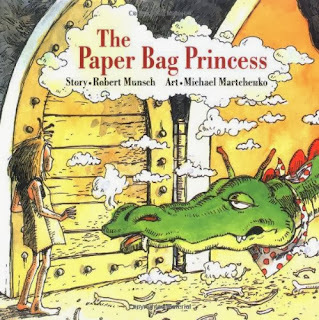 In "The Paper Bag Princess" Robert Munsch pulls a bit of a double-switch, fooling the casual reader into believing that Princess Elizabeth has gone all goo-goo over the rather vain, incredibly stupid and intensely annoying Prince Ronald. In fact, when Ronald is kidnapped by a destructive death-dealing dragon, who leaves poor Princess Elizabeth without a stitch of clothing, we were a bit upset that Liz trounced off after him so readily. But read on, dear heart, read on. You see, it doesn't take Elizabeth very long to find the dragon and the kidnapped prince. It also doesn't take her very long to get the measure of the nasty beast, who may be fast and strong and fearless, but is also definitely a few brain cells short of a smartie tube. Clad in a paper bag, Princess Elizabeth takes on the dragon, setting him a series of challenges to prove his strength and cunning. The dragon readily accepts, but Liz has a superb plan in mind that the dragon is too vain to see through. Everything about this story made us feel giggly and great by the end. Princess Elizabeth joins the ranks of our other favourite storybook princesses, showing that sisters are doin' it for themselves and nasty little vain picknose princes had better watch out! Charlotte's best bit: Princess Elizabeth taking about all she can take of Ronald's rudeness. The silly little oik! Daddy's Favourite bit: For those who have loved "The Worst Princess" and "Princess Smartypants" - definitely don't miss out on The Paperbag Princess. She rocks! Here's a golden oldie that teaches children a little science while entertaining them with a fun and original story. Eureka! Mr Archimedes is a bit of an eccentric old soul. Every bath time, he rounds up all his animals and they all climb into the tub together. They slosh water everywhere, make a huge mess and it's horribly uncomfortable. After flooding his bathroom for the umpteenth time, Mr Archimedes has had enough and tries to figure out which animal is causing the bath to overflow. Each time, he runs a little water into the tub, leaves out an animal - but the results are still the same. The water level rises, and it's time to reach for the mop. Great fun, and lovely to rediscover this one in our library. Charlotte's best bit: "It's all goat's fault!" - or is it? Daddy's Favourite bit: "Eureka!" 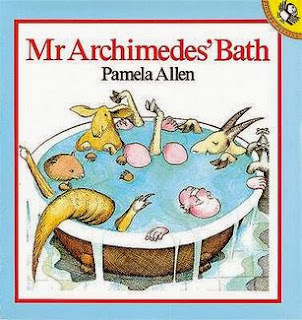 Shouted Mr Archimedes! Oh the fun we had with this book! Every child (and probably every parent) knows that if you insist on making silly faces ("Gurning" as we weird UK folk like to call it), one day the wind will change and you'll stay like it. This is the sage advice that one Tilly Turner ignores when her mum tells her to stop being daft and contorting her face into ridiculous gargoyle-esque shapes. Her teacher also warns her against her facial gymnastics, as do her friends. One fateful day young Tilly is gurning fit to bust when the weathercock slowly spins, the wind changes direction and lo and behold, she's trapped behind the face of a hag. Her beautiful features corkscrew into a foetid beastly scramble of hideousness. What on earth is Tilly to do? I grew up loving a comic strip in Buster Comic (remember that?) called Faceache. A kid had a superpower of being able to mould his face into hideous grotesque visages. Drawn by the absolute master of horror fun comics, Ken Reid, this story really reminded me of the sort of crazed expressions the boy in that story could produce. 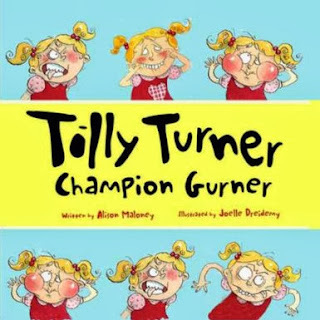 You'll have to read "Tilly Turner" yourself to find out if she ever got her beautiful face back. A fun and fantastic book that is surely due a reprint? Charlotte's best bit: Tilly's first day at school when she realises she can't change back! Owch! Indie Pen-Dance Wednesday. 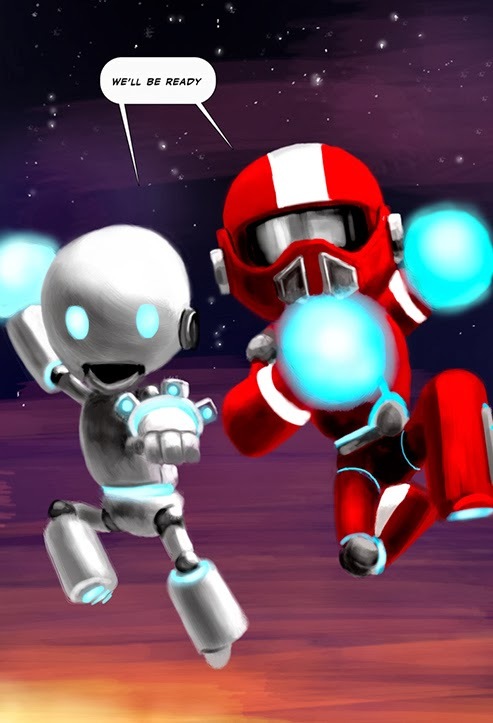 Spotlight on Vince Kamp, creator of a fab graphic novel for kids - "Robotslayer"
"Humans Will Prevail" in Vince Kamp's exciting and pacey graphic novel for children, "Robotslayer". Parent: "So, what, you let Charlotte read comics?" Parent: "But, like, aren't they really bad for kids? Stunt their learning?" Parent: "My parents never let me read comics. Comics are bubblegum for the eyes"
There's a whole missed opportunity and there's also still a huge misconception that comics are the worst possible way to help children develop reading and storytelling skills (as well as improving their drawing and painting skills no end too!) Thankfully there are a few people around who don't share this view and realise that comics are a fantastic 'fit' for the way children perceive and decode stories in a visual way as they first start to explore books. 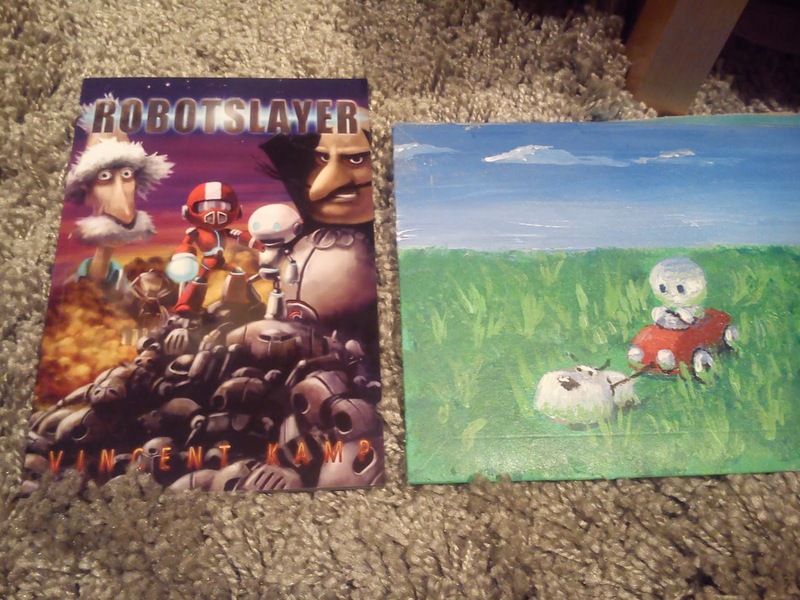 Vince Kamp, creator of new graphic novel "Robotslayer" isn't just a dad, he's an author-illustrator who has pushed the envelope further than any other self-published author illustrator we've encountered since we first started looking at self published children's books. Vince's story is pretty similar to my own - rediscovering a lapsed love of sketching late on, as a means of developing stories our own kids can enjoy, but looking beyond that to how it would be possible to share them with other kids and parents too. "I used to draw loads as a kid but then at around 14 I just stopped, I got into riding my bike and art was never considered a valid option in my house. I studied all the sciences and then ended up running the family business which designs and manufactures scientific instruments. I started drawing again when my eldest son Leo was around 3 and half. I started making up stories with him and that's how I started robotslayer." Vince didn't merely stop at scribbles and drawing though, to flesh out his Robotslayer idea. 3.5 years later I had sort of a book, I then thought it would be so cool to try and build these characters for real. So I looked up prop making and special effects stuff on the internet. 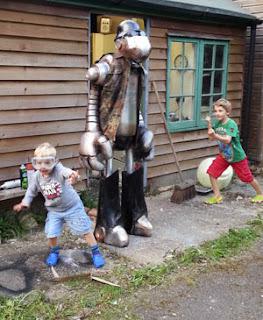 Lots more youtube and then I sculpted these two giant robots out of polystyrene and coated them in epoxy resin and glass fibre. I then taught myself how to sculpt with clay. I sculpted Leo and Benny but was running out of time for the launch party so I got a company to mould them in silicon and then lay up glass fibre. I then painted them and put lights into them. Can you think of an awesome name for this big guy? 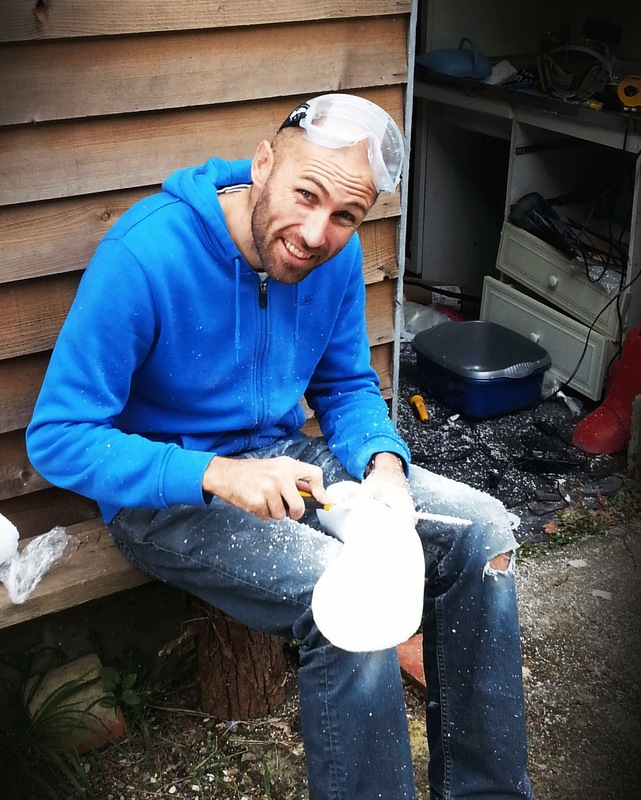 design companies and found a small team in london who totally loved robotslayer and we figured out a deal whereby we would split the profits, if there were any. The app is really great, a buddy of mine who composes for movies and adverts and tours with various big bands composed this fantastic cinematic score for each of the 56 pages. It really brings the whole thing to life. So that was all just before Christmas. I took all the robots to the Micklefield school Christmas fair and spent the day blowing children's minds with crazy robots. The parents have all been so great, I really could not have imagined the response. You know what it's like when you create something, you always think it's a bit rubbish and get kind of embarrassed to show it to people. "Robotslayer" and the fantastic envelope it arrived in. Check out the Robotslayer Facebook page too. Hop over to the "Robotslayer" website for more information on Vince's fantastic work, and perhaps (like us) pick up a ton of inspiration on how you can start building your own stories (and if you're really brave, your own giant robots!) We'll be posting a full review of Robotslayer as soon as I can prize it out of Charlotte's robot-like grip! Vince working outside the Robot Lab. We're guessing "Pizza Chef Robot"
David Lucas has a gift for tapping into fairy stories that feel like they've been with us for generations. 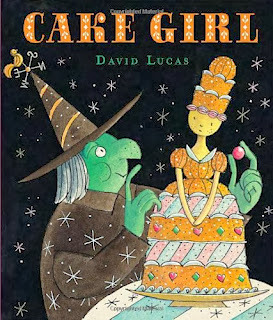 In "Cake Girl" a wicked witch celebrates yet another birthday on her own. Frustrated and sad, she decides to create a life-sized cake girl to keep her company for the day, with the plan to scoff the poor baked lass once the day is over. The witch constructs a sweet-toothed companion who is beautiful and wise, to dance for her and entertain her. But poor Cake Girl is scared of the witch and definitely doesn't like the sound of the witch's plans for her later on. Eek! 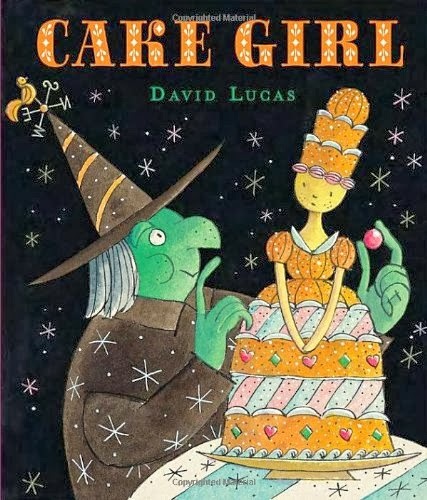 Lucas weaves a wonderful tale of friendship, and how even the most black-hearted soul can be won over by a fair (cakey) maiden and her plaintive cries for mercy. The witch befriends Cake Girl, promises not to eat her, and the two embark on adventures together as the witch discovers that it's much more fun to share fun and laughter with your companions than...well...eating them. Beautifully drawn, dreamlike and fabulously original, Cake Girl wins the great ReadItDaddy Bake-Off every time. We're always interested in diverse and inclusive books, there's a vibrancy to titles that publishers like Tamarind have in their catalogue that makes stories and characters come alive. 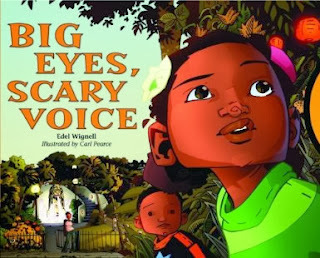 "Big Eyes, Scary Voice" was so eye-catching that we couldn't resist it when we came across it in our local library. The brother and sister who are the main characters in this book (along with their mum) enjoy a fabulous trip to the sort of park we truly wish was in our locale. Pacific Park is gorgeous but the children soon discover that there's something strange in the neighbourhood. They hear a sound, "Hoo Hoo" and they set out to find out the source of the odd noise. Both brother and sister bravely venture deep into the woodland in the park, with mum not too far behind. We're going to leave you to discover what the children find at the end of their journey, the story is gentle but with each turn of the page, we get closer to finding out who is "hoo hoo-ing". 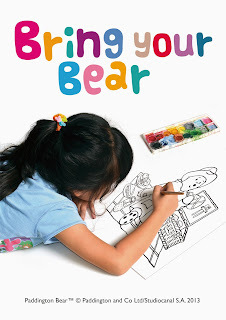 Visually, this book is rich and colourful - the perfect book for younger children to get lost in. Charlotte's best bit: Loving the fountain in the park. Daddy's Favourite bit: A fabulous book full of vibrancy and colour. Great stuff. Our first book of the week of 2014 is a book we've been meaning to get around to for a very long time. 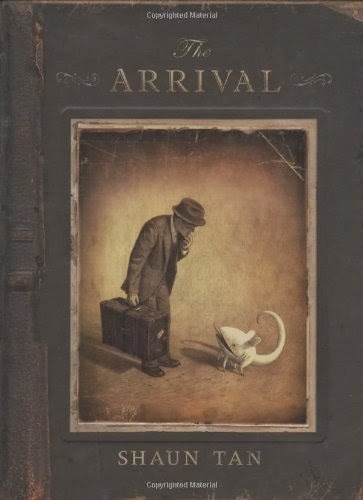 Shaun Tan's "The Arrival" is a book that so many people have praised and recommended to us that we couldn't ignore the clamour of positive voices any longer. Naturally everyone was right, this is by far one of the most amazing children's books ever produced and one that cements Tan into place as one of our favourite children's author-illustrators. But is it even fair to label this as a children's book? Certainly it's not an easy subject to tackle and it's an extremely difficult book to 'read' to a child for several reasons. Firstly, it's wordless. Secondly, it deals with a fairly grown up subject (or an entire set of subjects actually, it's that granular) and thirdly it's quite long and involving so definitely not a quick bedtime read by any measure. But it's an astonishing piece of work. Breaking slightly away from his usual style, Tan claimed he felt uncomfortable illustrating "The Arrival" with its semi-photographic style, and the use of live models throughout to ensure that the human characters are absolutely spot on (and they are). A man leaves his wife and child, and his home country behind as dark dragon-like shadows stalk through their city. Wrenched from his family, the man embarks on a long and difficult journey to a new land where nothing is quite as it seems, where the familiar and unfamiliar rub shoulders and the language barrier is just one of a number of obstacles set to make the man's new life as tough as possible. The new world is vibrant, surreal and full of wonder. As the man struggles through immigration (chilling scenes here that echo what most refugees have to put up with at border controls) and adjusts to the customs of his newfound home, he thinks of his family and what he must do to earn enough to get back to them. Kindly (and not so kindly) strangers are met, and in one particularly harrowing set of pages, another refugee tells his own story. Pause for a moment. If you've ever seen movies like "War of the Worlds" where the alien killing machines make that sort of horrific half air-raid siren / half fog-horn noise, that's the noise you'll have in your head as the stranger recounts the tale of the giants who destroyed his land (and in such a horrific way too. This bit was probably a bit too disturbing for Charlotte and in subsequent readings we've hurried past it briskly but right there is one of the darkest scenes in any graphic novel let alone children's book). The richness, the cleverness of Tan's visual mind spills onto every page. If anything, it's almost too detailed - you can get lost in the pages of "The Arrival" for hours as you pore over every tiny little stroke rendered with such attention and care. "The Arrival" is worthy of all the praise we can heap on it and more, and others who have recently experienced it will probably feel the need to do as we did when we first read Shaun Tan's books, hunt down the rest and read them all. Wordless picture books allow us to interpret their granularity in our own way. For me, obvious allegorical comparisons to the plight of the Jews in Nazi Germany as World War II broke out are unavoidable. For Charlotte, the beginning of understanding what it must be like to be a stranger in a strange land, forced to emigrate to feed your family or just to stay alive. Stunning, scintillating, vital. Do not miss it. Charlotte's best bit: The man's rather engaging lizard-dog-fish-pet and all the other wonderful hybrid creatures Shaun Tan is so expert at drawing. Daddy's Favourite bit: An absolute belter of a first Book of the Week for us. One that will stand up to being pored over for years to come and establishing Tan as a supreme storytelling and illustrative talent. Can the man do no wrong?